For years, TrueCrypt was the gold standard in encrypting drives across platforms. TrueCrypt is gone now, but VeraCrypt is carrying on its legacy. It looks and works a lot like TrueCrypt did, and it's compatible with TrueCrypt partitions. Even though VeraCrypt isn't available in Kali's repositories, but that doesn't mean that it's difficult to install. You can download the VeraCrypt installer right from the developers and use it to get set up on Kali. How to Download and Unpack The Tarball. How to Run the VeraCrypt Install Script. Download VeraCrypt on Kali Linux. Start by getting the latest VeraCrypt tarball. 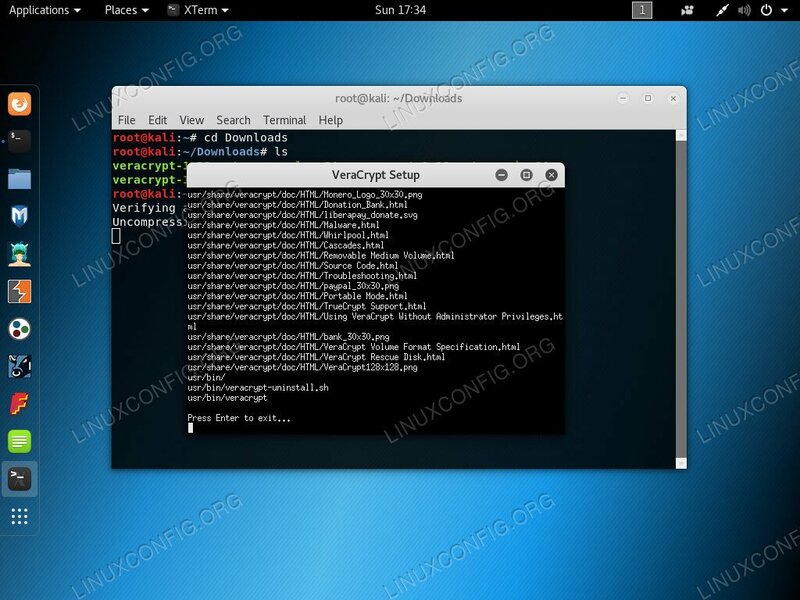 Go to the VeraCrypt download page and grab the latest Linux tarball. Then, unpack it in your ~/Downloads directory or somewhere else easily accessible. Open a terminal, and navigate to the location where you unpacked the installer. Inside that folder, you'll find four installer files. Those files are scripts for four different types of VeraCrypt installs. There are 32 and 64 bit versions of both the command line and graphical versions of VeraCrypt. If you don't have something specific in mind, run the 64 bit graphical one. 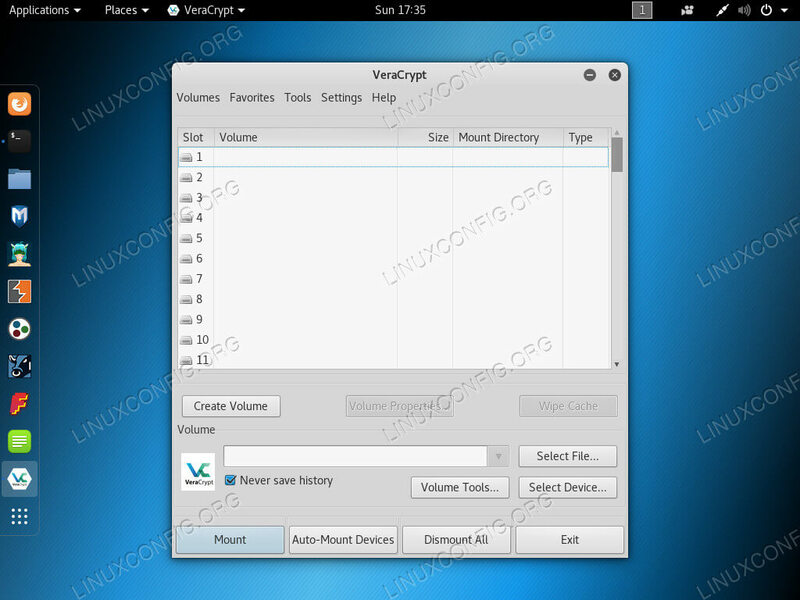 VeraCrypt Installer on Kali Linux. The install script will start up, and ask you if you want to install or extract the package. Select the install. 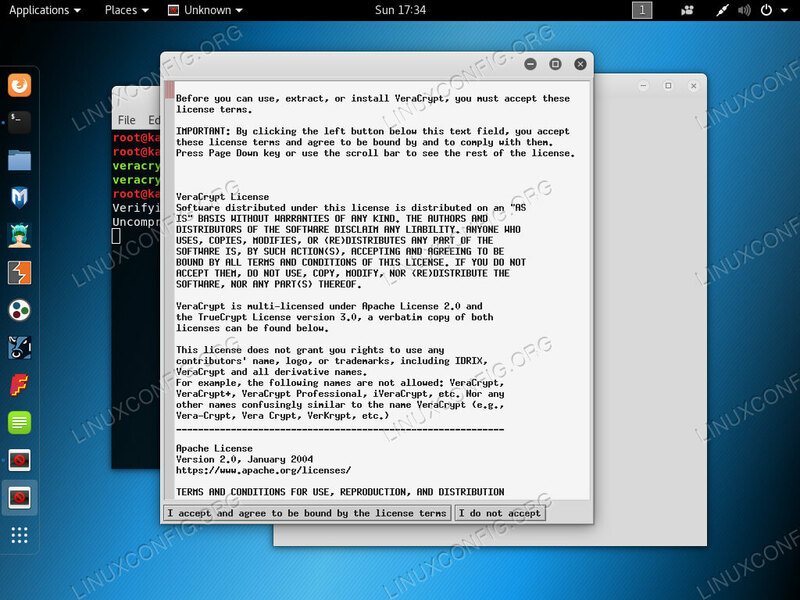 Accept the VeraCrypt License on Kali Linux. Next, it will display the VeraCrypt license, and ask you if you accept. Accept to continue. If you aren't running as root, the installer will ask you for your password for sudo. Enter it. VeraCrypt Install Complete on Kali Linux. The installer will run quickly and prompt you to exit when it's done. Launch VeraCrypt on Kali Linux. Now, you can open up VeraCrypt and use it normally whenever you need it on Kali. You're set up and ready to use VeraCrypt on Kali. With VeraCrypt, you can do anything that you may have done in the past with TrueCrypt. You will be able to access and create encrypted volumes, including hidden ones, which can be useful when working in Kali.